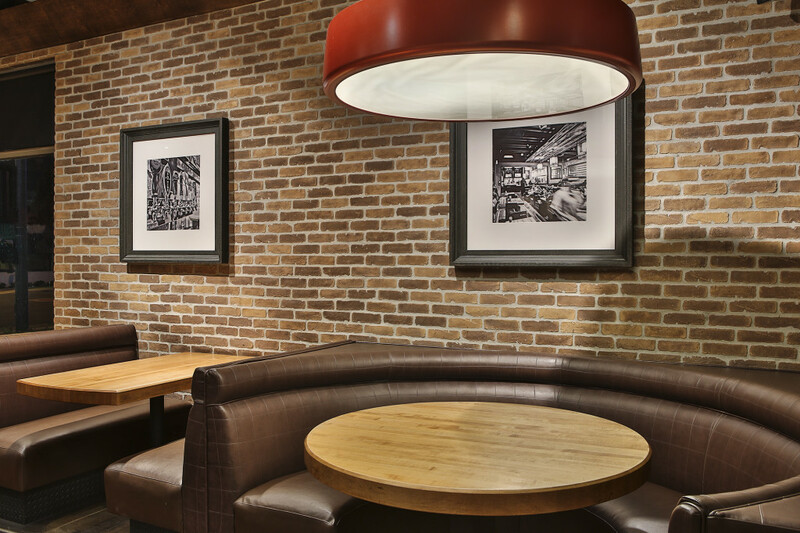 I am thinking of Creating a Table Top book of our products in Restaurants . 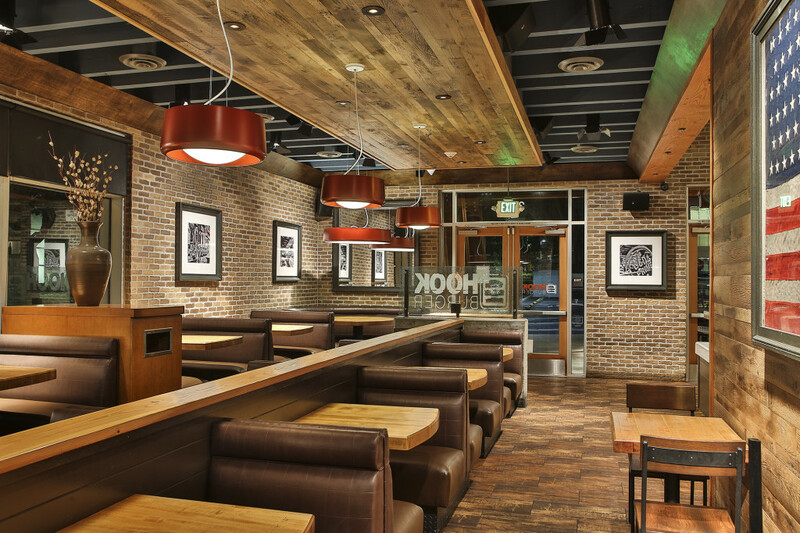 An excuse to visit more eating establishments. 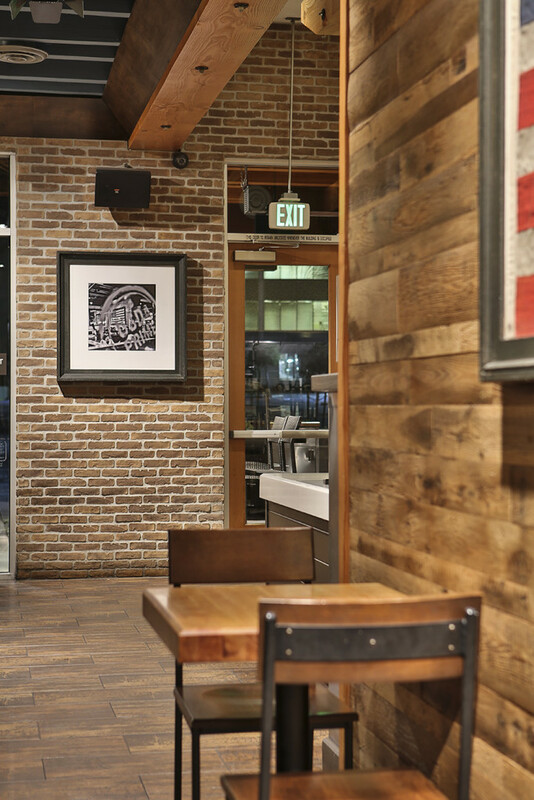 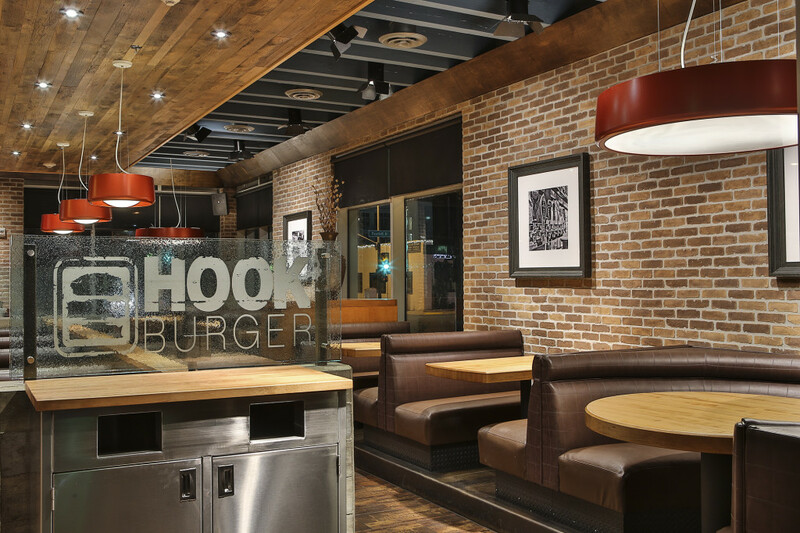 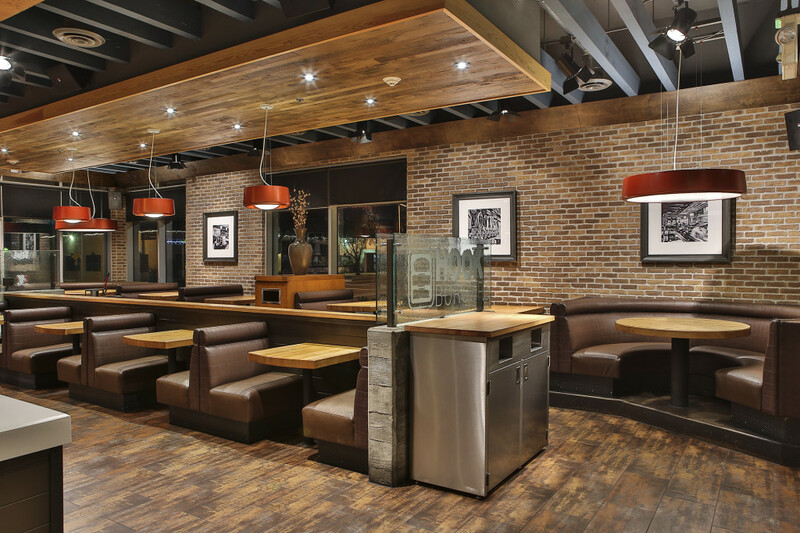 The 2×8 Antik Brick in color Tuscan Mustard is showcased in this Hook Burger Location. 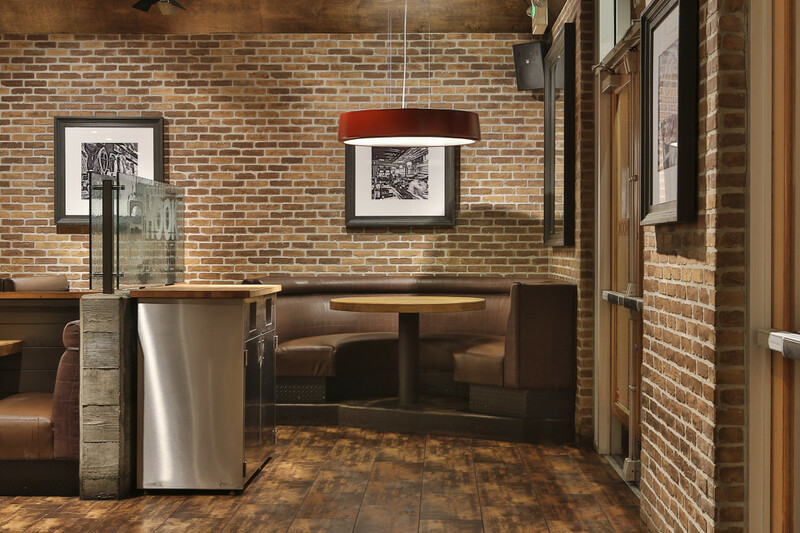 They did nit use corners but the installer did a good job with what he had.